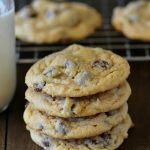 Incredibly soft and delicious Chocolate Chip Pudding Cookies will become the only cookie recipe you make. These cookies are award winning! These cookies are my hubby’s favorite. He begs me to make them all the time. I can bribe him with anything if I make him a batch of these. haha. No joke. They are so delicious and in Kale and my opinion, the best cookies ever. Make them yourself and you’ll see why! Remove from oven and let cookies rest and cool on the cookie sheets. No need to transfer to wire racks. Great picture. Just love your new blog look! This cookie is going to be the next one I make. Is this 2 and 1/4 cups of flour or 2 1/4 cups of flour equaling 1/2 cup? Its 2 cups and then another 1/4 cup of flour. I made these last night at 9pm in a “I need chocolate now” kind of mood. These are amazing. Super moist and thick. They do not spread out as the bake. Will be making these again. Made these last week and they were so good!! Will make again but will like to try white chocolate chips and cran-raisins. Can these also be made as a bar cookie? I have made these lots of times and each time they turned out great!! I won 2nd place in a baking contest with these cookies! They are SO easy to make and are absolutely amazing!! 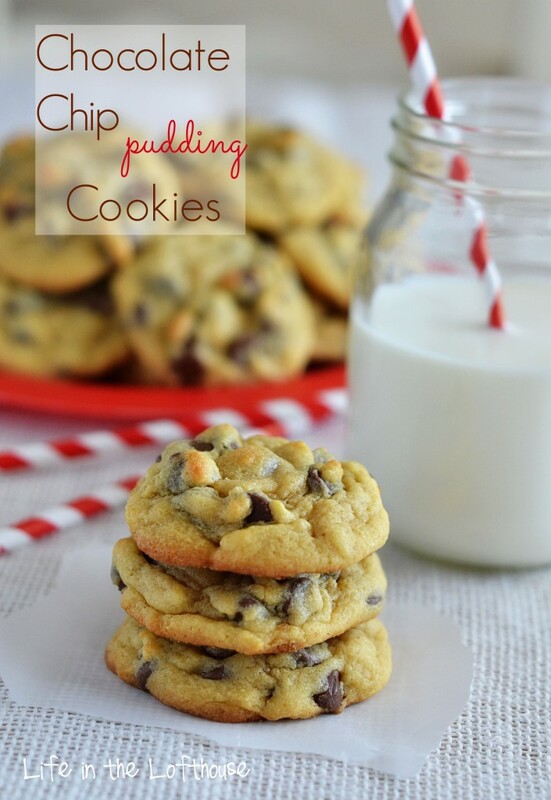 will be trying them next weekend for our annual cookie bake….can’t wait !! OK, variation I just tried and has won everyone in the household: Use chocolate fudge pudding instead of the vanilla. I was out of the milk chocolate chips and used semi-sweet instead. Also added a dash of salt. Perfection for anyone in a gotta-have-alot-of-chocolate-now state. Next I’m trying a french vanilla pudding with dark chocolate chips thinking the sweetness of the french vanilla will nicely balance the slight bitterness of the dark chocolate. We’ll see! 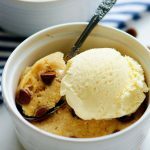 If you’re wanting some variation try making this recipe with Banana Cream Pudding and milk chocolate chips. It is seriously to die for! SOO yummy!!! My Mother and I make these often. I add white chocolate and they are amazing. I also try it with chocolate instant pudding mix and they are equally delicious! 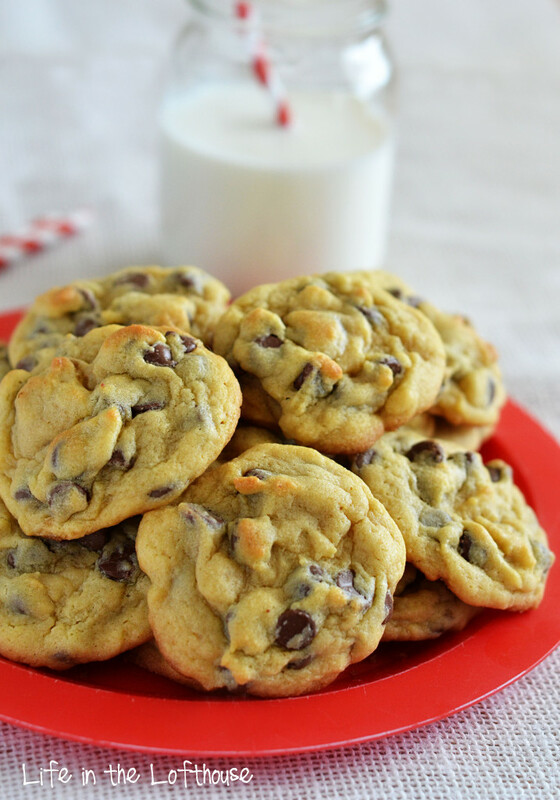 I made these but i used the nestle tollhouse chocolate chunks instead of chips. They came out wonderful! Hmmmm I have coconut pudding in the cupboard. I could try making ‘Mounds’ cookies using dark chocolate chips. I am feeling inspired! That sounds like an amazing idea!! YUM! I have butterscotch pudding…I wonder? Butterscotch chocolate chip? What do you think? These cookies simply look FANTASTIC !! I love these cookies, the first time I made the, I didn’t have any baking soda so I used 4 tsp of baking powder instead. They spread well while still being thick and moist. I found my variation makes the cookies better next day instead of day of. My husband and everyone at his work loves them so much they have become slightly addicted. I get requests for them all the time. What is the equivlilant of instant pudding mix in Britain please. 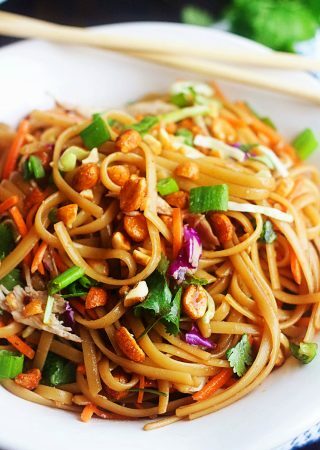 Can you add nuts to the recipe? Do you use dark brown sugar or light? I have had a recipe like this for about 10 yrs. 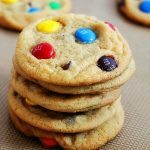 It used the semi-sweet chips but they make an excellent M&M cookie with the M&M Chocolate Mini Baking Bits. Followed recipe to a T. Delicious. While I was baking the batches Hubby was standing by the cookies that were cooling with a gallon of milk. These are perfection and are my new favorite chocolate chip cookie recipe. The recipe made 36 cookies for me. Will post a write up over at my blog next month. Thank you SO MUCH for the recipe! The pudding chocolate chip cookies were excellent. Pudding kept them moist. Awesome. Try some, you’ll like them. Please disregard my yielding comment. I had read a different recipe before this and confused it. These cookies are absolutely mouth watering amazing!!! Wow! I had to walk away from the batch so I would stop eating them. Lol will definitely be my go to super moist chocolate chip recipe from now on! Thanks. Do you roll these up in balls and then place them on sheet? 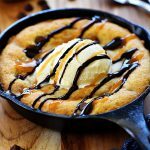 Not only do these look delicious, I have made this recipe for years and know that they are delicious. I’ve never found a better recipe for chocolate chip cookies. They really are no fail if you have a hard time getting cookies to come out good like me! Can you use sugar free instant pudding instead? Has anyone tried it? Wondering if you use salted or unsalted butter. These are my new favorite cookie. I heart CC cookies and I never make them at home because my oven cooks too hot and I hate flat over cooked cookies. I decided to try these because the pics were to die for. They turned out perfect! So perfect I’ve made them 3 times in 2weeks. They stay soft and keep their shape. I followed the recipe exactly. Thanks for sharing! Just made these cookies, the best ever. I didn’t have vanilla pudding so I used lemon pudding turned out fine. Super awesome! Made these today, March 2/2017. so glad I found them by accident. LOVE happy accidents! Made these today for my stepdaughters wedding. I can make any kind of cookie except for chocolate chip. My never turned out right. I figured I would give this a try. 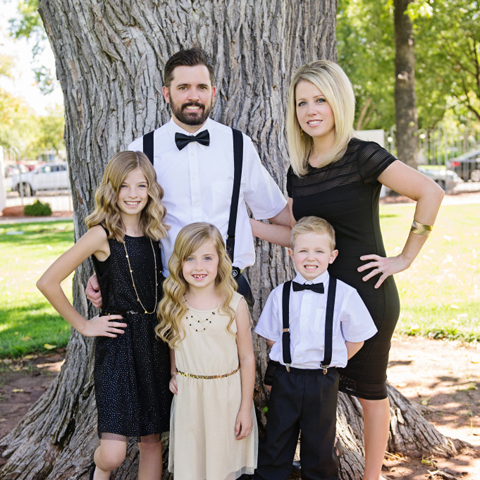 They are wonderful! My husband is very happy because I can make chocolate chip cookies now. Thank you! Holly, I made these cookies yesterday and they are great! What attracted me to your recipe was the photo and the pudding. I was not disappointed. The cookies came out exactly like your photo and they are so yummy! They are fluffy looking and tender, which is what I look for in a chocolate chip cookie. I also appreciate that you write just a little bit about your cookie, describing why it is special. 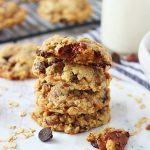 You are honest :o) THANK YOU FOR MY NEWEST, FAVORITE CHOCOLATE CHIP COOKIE RECIPE! Great recipe. 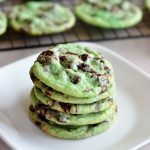 I’ve been making cookies using a recipe very similar for the last 15+ years. My kids and I have fun coming up with different variations. We have used mixed berry compound butter with cheesecake pudding and white chocolate chips for a berru cheesecake cookie.. Add a 1/2 cup peanut butter and peanut butter chips for a great peanut butter cookie. Vanilla chips and green tea with pistachio pudding is a great combo. Chocolate pudding, dark chocolate chips and dried and marchino cherries are a great combo for black forest cookies. It really is one of those recipes you can totally play with. One of the easiest recipes I’ve made and very delicious. No wire cooling racks needed, no spatula either. I will definitely be making them again. Question… do you pack the flour in the measuring cup or spoon it in loosly? I never pack my flour or spoon in flour. I do the scoop and sweep method. I scoop the measuring cup into the flour and sweep off the excess to level. Hope that helps! For anyone that is on the edge about trying these, literally just do it. These are the best cookies I have ever made in my entire life, and everyone I know loves them. I make these for every event: my family, my in-laws, and my friends devour them and beg for me.